At EverLine we offer superior epoxy flooring solutions. We have highly trained and experienced applicators and use only the highest quality products to ensure an extraordinary end result everytime. Epoxy flooring solutions is a great way to protect the existing flooring in your business or on your property. It is also a great way to create a non-slip surface in high danger or high traffic areas. 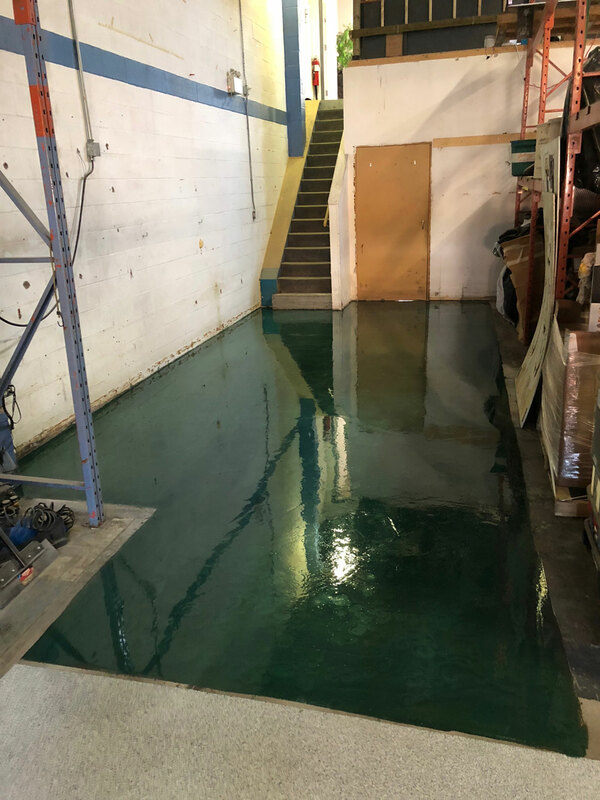 At EverLine Coatings and Services we can apply epoxy flooring solutions to cover areas with any type of dimensions. We also can offer epoxy flooring solutions in any colour or design you want. At EverLine Coatings and Services innovation is one the keys to our success. Innovation is an important factor when it comes to epoxy flooring solutions. Epoxy flooring products continue to change and get better, at EverLine we test and implement the latest and greatest epoxy flooring products. It is not just products that are getting better everyday, the application process is evolving as well. At EverLine we are committed to training our epoxy flooring application specialists in new application methods regularly. When you use EverLine’s epoxy flooring solutions you can be sure you are getting the most innovative and high quality services available. Is your business having epoxy flooring application done by EverLine in the near future? Well there are some steps you can take to make sure the application process goes as smoothly as possible. First make sure that the surface that is having the epoxy flooring solution applied to is is clean and clear of debris. This will ensure a smooth, high quality end result. Also please put up signs to let people know of the floors so that they do not walk through wet epoxy. If someone does walk through wet epoxy it will ruin any work that has been completed. Our epoxy flooring prices can vary based on a number of factors such as the size of the area being covered and the type of epoxy being used. In order for us to provide the best value for our clients we price our epoxy flooring projects on a per job basis. This allows us to learn all the details of your upcoming project and the budget you have to work with.